Advice on unmissable things to do at least once in Naples, including walks, works, museums, gastronomy and curiosity! 9 Cimitero delle Fontanelle, among the "pezzentelle souls"
Naples is a city rich in art, culture, stimuli, events, initiatives, colors, warmth and a lot of creativity, a place that leaves everyone breathless and with indelible memories. 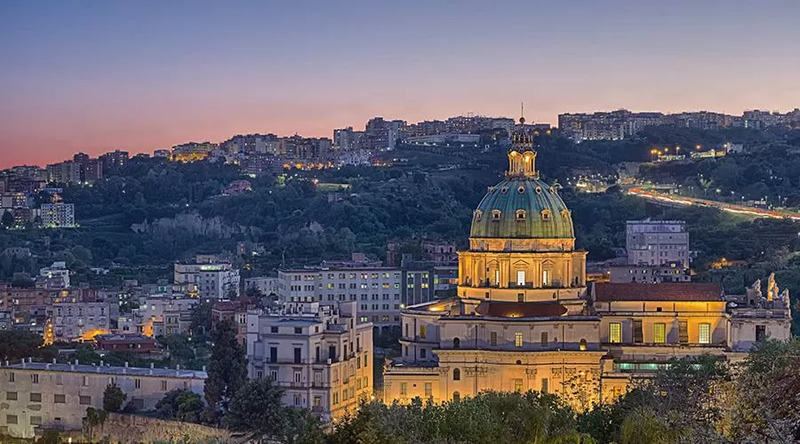 Among the countless Things to do and to see, there are some that surely have to be done at least once if you live in this city or visit it, experiences that both a Neapolitan and a tourist can not not live. A walk on the beautiful seafront, an itinerary in raft in the subsoil, the impossible challenge of Piazza del Plebiscito, the marvelous museums are just some of the activities that make it unique. And what to say about the coffee? Along with the sfogliatella and fried pizza is one of the symbols of the gastronomy of Naples in the world and the history of all these products is very special. Below we listed the 15 tips that must be followed absolutely on the things that must be done in Naples at least once in life. Wonder in front of this famous sculpture that seems wrapped in a transparent veil so much as to give a glimpse of the details of the face and body of the Christ stretched out and tortured. Il Veiled Christ find in the bellissima San Severo Chapel and his mystery is linked to alchemical ability of Prince Raimondo di Sangro who commissioned the realization of it to the sculptor Giuseppe Sanmartino. According to the legend, it was the Prince who taught him the secret of the marbling of the veil, a detail so realistic that it is said that at the beginning it was a true veil that only a sort of magic made of marble. It is a stupendous sculpture that even pushed Canova to say that he would be willing to give ten years of his life to be the author. Discover that the Posillipo seabed is rich in submerged archaeological finds, including remains of ports, nymphaeums and fish ponds, which can be admired on board a boat. Il Submerged Park of Gaiola owes its name to the two islets that are located a short distance from the coast of Posillipo and extends from the village of Marechiaro to the Bay of Trentaremi. It is today aprotected sea area and one of the most beautiful views in the world with volcanological, historical, archaeological and biological details that merge in a unique way. Its ridges of yellow tuff and the colorful Mediterranean stain they enchant anyone. It is also an important place for research, scientific dissemination and environmental education. Cross it blindfolded, from Royal Palace up to the center of the equestrian statues placed in the middle of the square. Its natural slope will make the company really difficult. All the Neapolitans have tried at least once in life to win this challenge, but nobody has ever succeeded. Anyone who has tried has always found himself, once opened his eyes, in a completely different side of the square compared to the predetermined one. According to a legend, the Regina Margherita once a month he would grant pardon to a prisoner if he managed to get blindfolded between the two horses Piazza del Plebiscito, but nobody ever completed the path because of one curse of the sovereign which is said to continue today. Venture on board a raft to immerse yourself in a journey into the past between the ancient cisterns of the '500 and the' 600 and the tunnels used as a shelter for war. It is one of the various routes that you can choose to cross some of the burrows of the Bourbon Gallery, an underground route that starts from the Pizzofalcone hill to the San Ferdinando district. The journey, called "Adventure path", Initially starts on foot and leads into a cistern of the 1400 through an ancient tunnel where you can admire hydraulic works and crosses related to the work of the Pozzaro. Shortly thereafter a second cistern is reached on the bottom of which one begins aquifer that leads to the raft. On board this original boat you will go up the Galleria Borbonica up to an excavation of the 800 where you can still read the sentences engraved in the wall from those who sheltered in those cavities during the Second World War. Let yourself be carried away by the beauty of the Waterfront of Naples and from unique panorama in the world offering the walk. It's a long journey 3 km that starts from via Nazario Sauro and ends in Mergellina and inexorably you remain breathless from what you can admire in every step. The look is immediately attracted bygrandeur of the Vesuvius observing the Gulf from above, fromIsle of Capri that stands out against the background, from Castel dell'Ovo that rises in the middle of the sea making the landscape even more romantic and completes the whole Posillipo promontory. A view that only Naples can offer because it merges with perfect balance the wonder of nature with beautiful works created by man. The other side of the Lungomare is full of bars, restaurants and clubs where you can relax and is partly lined by the Villa Comunale, made by Ferdinand IV of Bourbon. To admire "The Martyrdom of Sant'Orsola"The last work of Michelangelo Merisi, said Caravaggio, made in Naples a few weeks before he died. It is kept at Palazzo Zevallos Stigliano, but until 23 July 2017 will be at the Metropolitan Museum of Art in New York for an "illustrious exchange". In fact, in his place, in the hall of the Palace, there is another Caravaggio he portrays The Musicians. The Martirio di Sant'Orsola was commissioned by the Genoese banker Marcantonio Doria and is a painting depicting the moment of the saint's death, moving away from the traditional iconography in which Sant'Orsola is portrayed in the company of some virgins. In the painting you can admire the mastery of Caravaggio in depicting the moment in which Attila, rejected by the woman, pierces it with an arrow, while three barbarians succed them. You can see the typical play of lights and shadows of Caravaggio, always perfect, and also a very original detail: the author has portrayed himself behind Sant'Orsola with an expression of pain. Taste the most delicious Neapolitan specialty born in Naples, prepared by the wives of pizza makers, with the leftovers of the dough, in their "downs" to feed the poor in the neighborhood. His story perfectly represents the creativity of the Neapolitans in times of need and poverty, but also their generosity. Indeed, this tasty product is born at the time of the Second World War, a period in which even allowing a pizza cooked in a wood oven was economically unsustainable. For this reason, the wives of pizza makers gave life to the tradition of the "eight-piece pizza" which consisted of eating fried pizza at the time and pay it after 8 days, the time necessary to collect the necessary money. Here, with what was advancing from pizza dough, the women fry their pizzas to sell them out to the houses. Get off and go up from the high areas of the city to the old town and the sea without using public transport, but traveling along the ancient stairs of the 500 admiring breathtaking views. The set of scales of Naples consists of a series of ancient pedestrian paths that the people used to reach the center and the coast from the hills and vice versa. There are steps and ramps that are located in different areas of the city and today are like monuments, considered real urban masterpieces. Among the most famous there are the Pedamentina with 414 steps that join the Certosa di San Martino in Vomero with Corso Vittorio Emanuele; the Ramps of the Petraio connecting the Corso VE to another area near the hill of San Martino; there Calata San Francesco that comes from Vomero to Via Tasso. But there are still other very important staircases in the city and traveling through them allows you to discover details of Naples otherwise difficult to notice and to walk quietly isolated from the chaos. Cimitero delle Fontanelle, among the "pezzentelle souls"
Adopt a "capuzzella" to receive a grace in this suggestive ossuary that collected the dead of plague and cholera from the 600. And bump into the skull of Donna Concetta, called "'a capa che sweats". Il Cemetery of the Fontanelle today gathers about 40000 human remains of victims of pestilence and, over the centuries, around these bones, especially the skulls (capuzzelle), the famous was born rite of pezzentelle souls. 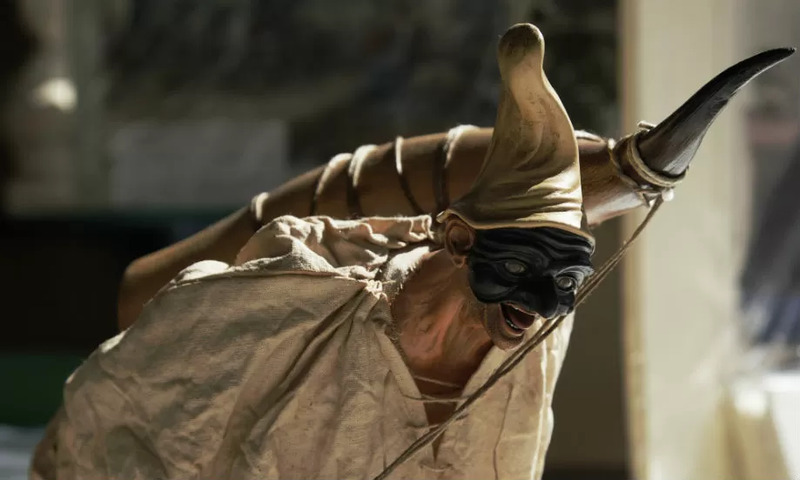 The Neapolitans, in fact, have a very deep connection with the world of the dead and in this cemetery they required a grace to a capuzzella who decided to adopt, promising in return for taking care of it. Even today, someone follows this ritual and some capuzzelle have become famous, as the aforementioned Donna Concetta and the skull of the Captain. Savor it in the two versions, curly or short, but rigorously boiling, freshly baked, and with a sprinkling of icing sugar just before serving. The history of sfogliatella has its roots in the '600, in the monastery of Santa Rosa, near Conca dei Marini on the Amalfi Coast and was born a bit 'by chance, as often happens with products that enter the gastronomic tradition of a country. It is said that a cloistered nun, having noticed the semolina cooked in the advanced milk, he decided not to throw it and to join dried fruit, sugar and lemon liqueur, creating a stuffing. The filling inserted it into two sheets of dough prepared with the lard to which he gave the shape of a monk's hat. The sfogliatella arrived in Naples only in the 800 thanks to the then host Pintauro, whose descendants today are renowned for the best sfogliatelle in the city. Discover that in Coroglio there is a true corner of paradise, with the remains of an ancient villa and two Roman theaters built in harmony with nature that leave you breathless at sunset. Il Pausilypon Archaeological Park it is located between al Gaiola and the Bay of Trentaremi and its name means "pain relief". In fact, you can not find the peace of mind in this oasis where, in the first century BC, the knight Publio Vedio Pollione decided to spend the last years of his life. Subsequently, the villa became imperial residence of Augustus. It is accessed by crossing theawesome Cave of Seiano, excavated by the Romans and later reinforced by Ferdinand II of Bourbon, to then reach the archaeological park where you can still admire the remains of the imperial villa, part of theancient theater that contained 2000 seats and l 'Odeion in which there were performances of singing and theater. From the belvedere of the park, overlooking the sea, you can admire the Gaiola and the splendid panorama on the sea, magnificent at sunset. Drink coffee, almost religious rite to be followed in complete calm and a moment of unrepeatable sociality. In Naples you drink one of the best coffee in the world, not only for the goodness of the drink, but also because it is a real moment of relaxation enriched by the conviviality of the Neapolitans. It is enough to enter a city bar to be enveloped by an irresistible aroma and to immediately understand what are the steps to follow to enjoy an excellent coffee. There are two essential precautions: hot cup and strictly hot coffee. In addition, every bartender will offer you a glass of water along with the cup and you will need to take a few sips to fully enjoy the coffee. And remember, it should be drunk with very little sugar. Walk through millennia of history al National Archaeological Museum of Naples. Among the most important archaeological museums in the world as regards the collection of objects from the Roman era, it is an obligatory passage for those who live in the city or come to visit for a few days. Its main collections are that Farnese with findings from Rome and surroundings, that Pompeian with remains of the Vesuvian area and that Egyptian, the oldest collection in the world and the second largest in Italy after the one in Turin. Walking through its rooms you will be fascinated by the great sculptures, among which theErcole Farnese which also inspired Michelangelo; the Toro Farnese, the largest group of statues arrived to us from antiquity and theAtlante Farnese, which shows Atlas supporting the terrestrial globe. Also not to be missed Salone della Meridiana which takes its name from the 1791 sundial that runs through the entire floor and still works today. visit Museum and the Real Bosco di Capodimonte immersing yourself completely in art, history and nature. The Museum is located in the Royal Palace of Capodimonte and houses mainly paintings that are divided into three main collections. There Farnese collection contains, among others, works by Raphael, Titian, paintings of the Flemish school and finds found in the Baths of Caracalla; in Neapolitan Gallery there are drawings, sculptures and tapestries of Neapolitan artists from the thirteenth to the seventeenth century; in Contemporary Art Gallery Andy Warhol's Vesuvius stands out. Leaving the museum you can not but dedicate yourself to a walk in the Real Bosco in front of the Royal Palace and walk among his 400 variety of ancient trees, cultivations of fruit trees, statues, fake ruins, gardens and buildings once used by the sovereigns. A path in unspoiled nature and relaxing. Travel in time among the ancient locomotives of the National Railway Museum of Pietrarsa. The Museum is located in Portici and hosts historic trains built by 1845 thanks to an edict of King Ferdinand II of Bourbon. Once there was the Naples-Portici, the first Italian railway, and today you can admire beautiful vintage trains in its 7 pavilions. The rooms contain steam locomotives, direct current locomotives, three-phase electric locomotives, electromotive vehicles, diesel locomotives and passenger coaches. An unmissable piece is the Royal train made up of 11 wagons and made for the marriage of Umberto II of Savoy with Maria José of Belgium in the 1929. It is a very fascinating place that attests one of the excellences of our history and testifies to the evolution of the relationship between man and machine over the centuries.